Oops! is a classic board game of skill, cunning, and regret. Battle against up to three highly intelligent computer opponents, or go head to head against real people in competitive network play. Taunt your enemies as you move swiftly around the board, knocking their pieces back to start on your way to glory and victory. Available exclusively for Mac OS X! NOTE: Oops! is no longer under development and may or may not work. Fixed crash on launch on OS X 10.9. Fix bug with card graphics on retina displays. Minor bug fixes for Mac OS X 10.6. Added limited 10.4 Support (Single player works, and you can host a network player game, but you may not be able join one). 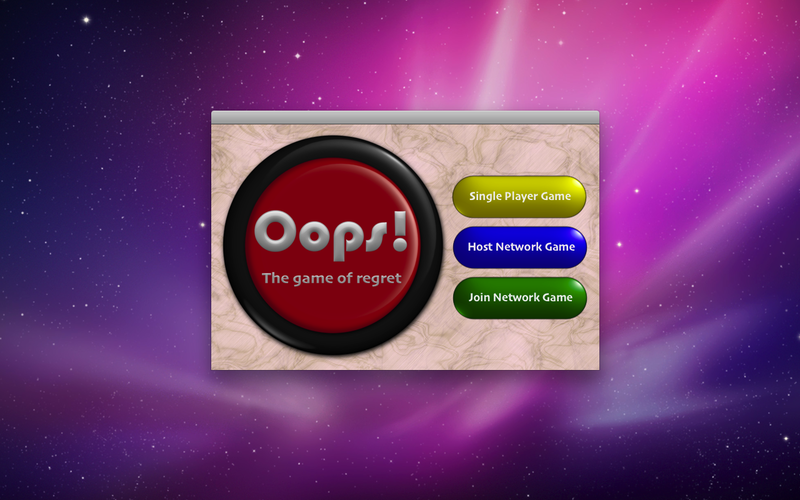 Single player mode with up to three computer opponents. 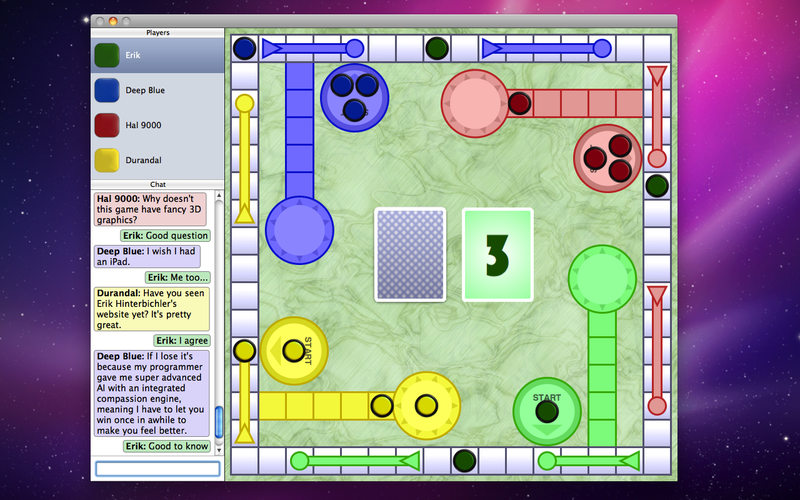 Multiplayer network mode with up to four players. Built in multiplayer chat (or even chat with your computer opponents in single player). Customizable taunting mechanism that helps you rub in your superiority.